Comments: Processes, mathematics, and software (fields which are discovered, not invented) should not be patentable. Also patents where introduced to help the dissemination of ideas. In the Internet age the concept of a 20 year monopoly on an idea is an abomination. "The implementation UPC places a burden on SMEs and independents that will exclude them from realistic protection of their innovations and will introduce unsustainable entry costs." "Software patents have been a net drain on the economy and benefit a relatively small range of businesses. We should not rush into ratifying a treaty with such far-reaching implications and this should absolutely be debated by an informed parliament or we risk causing further damage to our economy. In whose interest is it to push this through?" "Patent Trolls are a nasty threat to small companies that do original work." 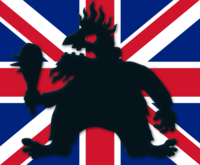 "Will the UK government keep the Uk free of software patents, otherwise the country will be impoverished by unnecessary litigation." "Software patents are an anti-competitive weapon used by large software companies to fight off the threat from innovative start-ups. We must absolutely resist them if we want a thriving UK software industry with freedom of choice for consumers." "Too many large companies patent obvious and/or well known algorithms and design features and then have more money to spend on lawyers to suppress competition." "Ratification will be a step backwards for the creative industries that add so much value to UK GDP." This is really the very least you can do. You should not be afraid to call your Member of Parliament, this is the most important.